PITTSBURGH, Pennsylvania, September 21, 2010 (ENS) – Teresa Heinz and the Heinz Family Foundation today announced the winners of the 16th annual Heinz Awards, honoring the contributions of 10 people whose work addresses environmental challenges. The Heinz Family Foundation, one of the Heinz Family Philanthropies, began as a charitable trust established by the late U.S. Senator John Heinz. His widow, Teresa, established the Heinz Awards in 1993 to honor and sustain the legacy of her late husband. 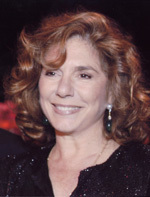 Teresa Heinz is now married to U.S. Senator John Kerry of Massachusetts. This year’s Heinz Awards will be presented at a ceremony in Washington, DC on November 15. Each recipient receives a cash prize of $100,000 and a medallion inscribed with the image of Senator Heinz on one side and a rendering of a globe passing between two hands on the other. The Heinz Awards annually recognize individuals creating and implementing workable solutions to the problems the world faces through invention, research and education, while inspiring the next generation of modern thinkers. This year the awards honor individuals who are addressing global change caused by the impact of human activities and natural processes on the environment. Balog, a former global warming skeptic, is honored by the Heinz Awards for his pioneering photographic documentation of the effects of global warming worldwide. Using materials from his local hardware store, he adapted 39 Nikon cameras to take photos of glaciers around the world each hour of daylight. More than 500,000 photographs from his Extreme Ice Survey illustrate the evidence of global warming over time, providing scientists with vital insight on glacial retreat. Balog is admired for his innovative approach to photography and risky maneuvers – from rappelling down crevasses to climbing icy precipices – to capture the perfect image. Building upon an already distinguished career in basic reproductive biology, Dr. vom Saal discovered unexpected health problems linked to exposure to common chemicals in every day products such as bisphenol A (BPA), a widely-used ingredient in consumer products. Dr. vom Saal’s work has been opened new questions about the safety of many chemicals in widespread use, which had been thought safe based on traditional methods used in toxicology. His research challenges health agencies around the world to use 21st century biomedical science in assessing the risks posed by environmental chemicals. While some regulatory agencies have taken action, others have been slow to respond. The market, however, has moved quickly due to consumers demanding alternatives to materials that science reveals may be harmful. Dr. Fowler’s work emphasizes that a lack in plant population diversity weakens food security. His efforts to conserve crop diversity, including the development of the Global Seed Vault – holding one-third of the world’s seed varieties – are critical to preserving crop diversity as factors such as climate change and natural disasters threaten agriculture and its ability to feed humanity in the future. The Svalbard Global Seed Vault is dug into a frozen mountainside near the village of Longyearbyen, in Svalbard, a group of islands 1,000 kilometres north of mainland Norway. The vault was officially opened on February 26, 2008, to serve as a safety net for plant diversity. Dr. Collins has a distinguished and unquenchable passion for training the next generation of scientists to combine the tools of chemistry with the knowledge of environmental health science so their work will reduce the use and generation of hazardous substances. A professor at Carnegie Mellon University’s Institute for Green Science, Dr. Collins and his research group have played a crucial role in inventing safe, sustainable ways to mitigate toxic waste and biological agents including anthrax. Throughout his scientific career he has demonstrated an informed willingness to challenge entrenched ideas and misguided conventional wisdom, guided by a sharp and intellectually rigorous focus on what is necessary to move chemistry toward a truly sustainable path. Dr. Daily works to protect and place a value on the services provided by natural ecosystems, which include climate stability, flood control, water purification, pollination and production of food. Dr. Daily has shown important and unique global leadership in creating new tools and approaches for estimating the economic value of conservation, and for implementing these in key demonstrations around the world. With the Natural Capital Project, she has co-developed InVEST, a computer software program helping decision makers identify ecological assets with the highest financial value. Dr. Daily’s current work in China is helping to inform a $100 billion investment in conservation, over 25 percent of the country’s land area, to harmonize conservation and human development. Dr. Sperling has helped to revolutionize transportation and energy research through a unique academic approach that merges research, policy studies and entrepreneurship in pursuit of clean, equitable transportation options. A professor and founding director of the Institute of Transportation Studies at the University of California, Davis, Dr. Sperling was instrumental in the passage of California’s groundbreaking Low Carbon Fuel Standard, the first major regulation built on the concept of measuring greenhouse gases over a product or fuel’s lifecycle, from production to end use. Dr. Sperling’s most recent book, “Two Billion Cars,” has received international acclaim and demonstrates his ability to communicate complex topics in a way that touches people and moves them to action. Kolbert is honored for her steadfast, creative and challenging journalistic explorations of important environmental issues that are central to global change. Kolbert’s investigations go beyond traditional reporting – even raising a hive of bees in her backyard to better understand their habits for a story about their mysterious disappearance. Her skill for providing readers with intriguing narrative generates intense interest, grabs national attention and has inspired a movie. While reporting on topics such as Arctic ice caps and extinctions, she is frequently invited to speak at universities and serves as a guest editor for other publications. Dr. Oppenheimer is honored for his leadership in assessing the impacts of climate change and air pollution, as well as promoting policies to prevent future harm. Long before global warming reached global prominence, he drew international attention to the issue by co-organizing workshops that helped precipitate the United Nations Framework Convention on Climate Change. Director of the Program in Science, Technology and Environmental Policy at Princeton, Dr. Oppenheimer was formerly chief scientist at the Environmental Defense Fund for 21 years. He is currently a lead coordinating author of the fifth assessment of climate change being prepared by the Intergovernmental Panel on Climate Change scheduled for release in 2013-14, as well as on a special report on climate extremes and disasters. Dr. Oppenheimer has repeatedly demonstrated a commitment to help policymakers and the public understand climate science and the gravity of its implications. Studying the world’s oceans since 1974, Dr. Feely is recognized by the Heinz Awards for his extensive study of ocean acidification caused by rising carbon dioxide levels in the atmosphere. Logging over 1,000 days at sea and over 50 scientific expeditions, Dr. Feely’s discoveries prove acidity levels are rising fast and represent a major challenge to the health of the oceans’ food web. Throughout his career, Dr. Feely has promoted improvements in public policy to protect oceans and marine ecosystems. His research documenting the pace and extent of acidification have brought this issue to world-wide attention and forced recognition of the fact that policy measures that only address global warming will fail to fully confront global change. As a pediatrician and epidemiologist, Dr. Goldman saw children with preventable infectious diseases and lead poisoning and it inspired her to research and develop programs to stop negative health effects caused by chemical contaminants. Appointed to the U.S. Environmental Protection Agency, she strengthened regulation on pesticides and toxic substances and expanded citizens’ right-to-know about pollution in their communities. Returning to academia after government service, she has carried out groundbreaking research on how chemicals affect newborn children. In August, she became dean of the School of Public Health and Health Services at George Washington University.